The project featured here was fabricated for an individual who needed a custom product fabricated in a quality shop by craftsmen who understand precision metal fabrication. 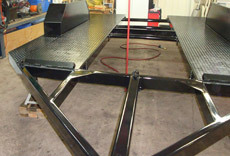 At Technical Fabrication we specialize in custom projects such as this. 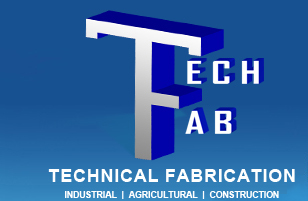 We're geared towards the fabrication of prototypes, one-offs, and volume production. This trailer was constructed of structural steel tube and diamond plate, and was 20' in length. Working with the customer's specifications we completed the entire project in-house, which included cutting and forming of all the raw materials, utilizing our saw, shear, and press brake. The components were welded and precision aligned to ensure straightness. All rough edges and welds were ground which was followed by the application of a black powder coat. For more information on this project, see the table below or contact us directly.